This Magnificent Collection Featuring Elegant Amber Crystal Highlights, Scrolling Weathered Mahogany Finished Ironwork And Intricate Castings. Incorporating Elements Of Renaissance Design With Graceful Proportions, Rochelle Reflects Regal Design And Classic Appeal. Taking styling cues from the Art Deco period, this collection features clean lines and unique design elements. The lights are supported by rings that gracefully float around a larger double ring. Finished in Renaissance Silver Leaf with cream fabric shades, this series is versatile and contemporary. Shades are optional on items with crystal. 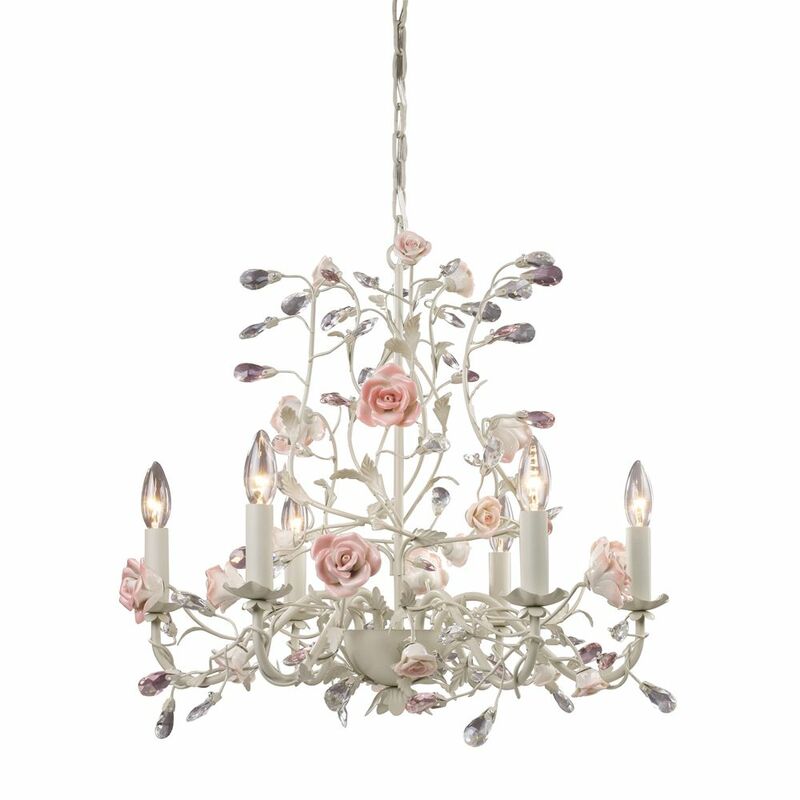 6 Light Ceiling Mount Cream Chandelier This Series Is A Tribute To EnglandS First Porcelain Manufacturers Dating Back To The Mid-18Th Century. Factories Of The Time Developed Down Product For The Aristocratic Market. Although Many Are No Longer In Operation, The Techniques Used Then Still Apply Today Of Hand Working Molds And Patterns. The Strength And Non-Porous Nature Of Porcelain Allow Intricate Details And Shapes As Evidenced In The Exquisite Flowers Accenting This Series. This Collection Has Crystal Accents And Intertwined Branches Finished In Deep Rust Or Cream.